A splash of colour reminiscent of paint across a blank canvas is at the forefront of Norman Moore’s creation for Acme Studios. 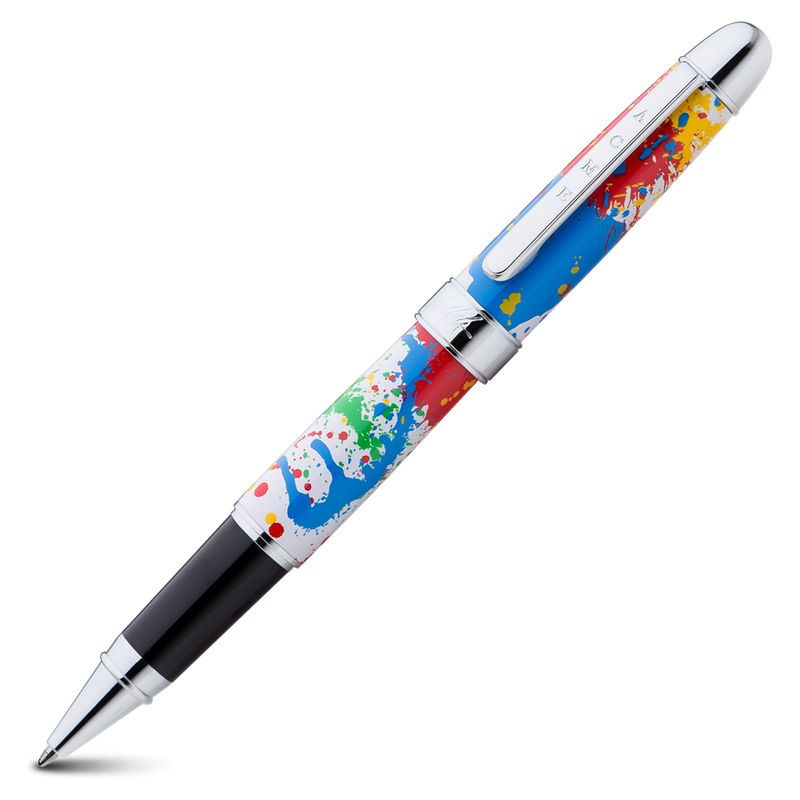 This pen’s capped style prevents the rollerball ink from drying out, and upon the cap’s ring is the signature of the artist, accompanied by Acme’s stamp upon the pocket clip. Designed by Norman Moore for Acme Studios, USA.